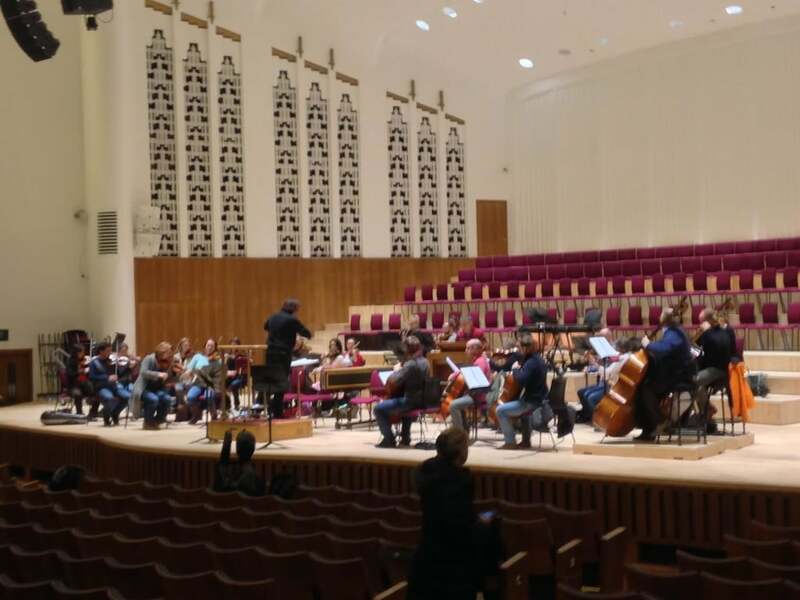 What better way to bridge the lacuna between post Christmas tristesse and new hope for the coming year than to hear Liverpool Philharmonic Orchestra and choir give their annual traditional performance of Handel’s masterpiece, Messiah? Liverpool’s annual Messiah is one of the longest established in the country and it has a following all its own. Tickets are almost sold out from the moment they go on sale and guest conductors and soloists have to contend with the enormous audience expectation that this tradition brings. Messiah is one of Handel’s best known works. It is incredible that he wrote it in just 24 days in 1741 and it is still performed by choirs all over the world. It was written at a time when religious performances had been banned from the London stage. Handel’s response was to write an ‘Oratorio’. These were intended to put Bible texts to music so that people who might not have access to them, could learn and sing them. Handel wrote Messiah for a concert performance in Church with a small orchestra and four soloists. It is a glorious piece with no straight story line, but is based on three concepts: the story of the nativity, and its prophecy, the crucifixion, and mankind’s redemption through Christ’s victory over death. It is in turns, reflective, meditative, celebratory and joyous. The lyrical tones of Ben Johnson, tenor, in the opening “Comfort ye” were a salutary reminder of the sense of desolation in the Exodus, and his contrasting climactic rendering of ‘Every Valley’, with the warm response of the orchestra and choir burst into an appreciation of the beauty of this world. This together with the choirs enthusiastic chorus of ‘And the glory, the glory of the Lord’ made me wish this wasn’t such a formal occasion; we should be dancing in the aisles and joining in. The music ebbs and flows at each stage, between expressive contemplation and jubilation and the changing mood of the narrative sung by the soloists, is always underpinned and expressed through the choir. It felt as though the audience held their breath as Susanna Hurrell, gave us the so familiar but exquisitely expressive ‘I know that my Redeemer liveth’. Patricia Bardon, sang a beautifully clear and richly reflective ‘He was despised’. The soloist who perhaps made the most telling dramatic impact was the bass, Alastair Miles., whose effective musical contrasts were a reminder that Messiah, though a spiritual work, is essentially an enjoyable and dramatic entertainment. A special mention should go to David Francis – Continuo – who was moving deftly from Harpsichord to Chamber Organ and back again, taking his music each time without dropping it! The trumpeters too, Brendan Ball and Paul Marsden, had a delightful resounding impact. Matthew Best conductor, set a pace for the overture which was brisk and surprisingly staccato. A further surprise was his invitation, (or was it an instruction?) to the audience to stand for the Hallelujah chorus. The custom of standing for the “Hallelujah” chorus has come from the London premiere, where King George 11 is believed to have been so moved that he stood up, this obliged everyone to stand, and it has been done ever since. It was helpful that the traditional dilemma – to stand or not – should have been settled for us, as left unresolved it can be very distracting, with some standing, others sitting and still some dithering! Some say the audience is moved to stand by the beauty of the chorus, others find that it is very disruptive and halts the flow of the music. Less helpful was the management’s decision to allow latecomers to find their seats after the performance had started. There is no such thing as a correct version or interpretation of this fabulous music, we all have a different Handel on Messiah, and it comes down to personal preference. This was a competent and enjoyable performance, although perhaps lacking some of the emotional depth that can sometimes be found. Nevertheless the traditional Liverpool Messiah with the Philharmonic Orchestra and their choir in full voice is not to be missed.